As a Florida resident, I live within an hour’s drive of some of the best beaches in the United States. But Florida isn’t the only place where there are great beaches. Every state along the oceanic borders of the United States boasts some beautiful beaches. Kaanapali Beach on the island of Maui is famous for its cliff diving ceremony and crystal-clear water. The event is held at sunset, a truly magical time to visit this beach. Kaanapali Beach offers 3 miles of sandy shoreline and some extraordinary distant views of Lanai, a Hawaiian island that sits only a few miles off the shores of Kaanapali Beach. There is very limited free parking near Kaanapali Beach; most of it is near Whalers Village shopping center. Otherwise, parking fees range from $2 per 20 minutes to $30 for an all-day permit. See why Kanapali Beach ranks #1 on a list of 98 fun things to do in Lahaina. When you think of Florida beaches, you probably imagine a strip of white sand lined with palm trees and stands of tourist hotels all along the main beach road. Well, not all of Florida looks like what you usually see in the tourism brochures. Pensacola Beach is a slice of old Florida you don’t really see these days. 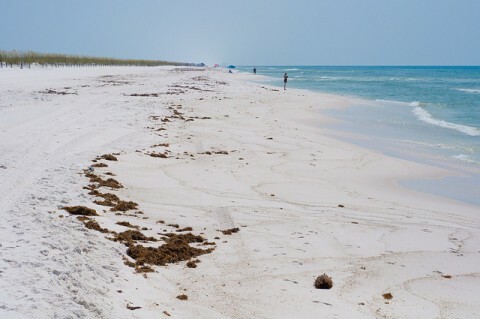 Stretching more than 10 miles along a nature preserve, Pensacola Beach is the place where soft, white sand meets the emerald green waters of the northern Gulf. Hotel development and other commercial structures are found only along the eastern (Navarre) and western (Pensacola) access points. What’s left in between are miles of pristine, virtually untouched beachfront. Parking all along Pensacola Beach is free. See why Pensacola Beach is such a great beach. The rugged Pacific coastline of California offers countless beaches and waterfront views. But one of the most popular places to catch some sun and surf in southern California is on La Jolla Cove in San Diego, California. 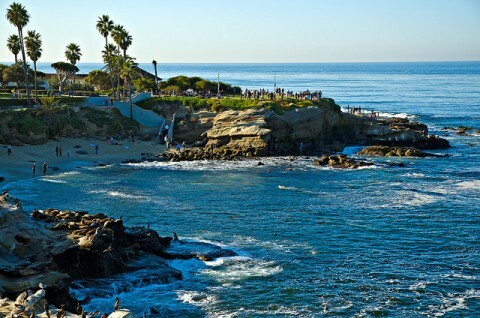 Swimmers, divers, and snorkelers love exploring the protected waters of La Jolla Cove. And while boogie boards, surf boards, and other flotation devices aren’t allowed in these waters, it’s for good reason — there are many diverse creatures swimming about, including rays and leopard sharks! La Jolla Cove is actually rather small, though there’s lots of room to roam in nearby Scripps Park. Parking is free along the streets of La Jolla, but be mindful of parking time limits. See why La Jolla Cove tops the list of fun things to do in the area. A little northeast of Hilton Head, South Carolina you’ll find Hunting Island State Park. This picturesque nature preserve along the Atlantic Ocean coastline offers 5 miles of beaches and thousands of square miles of marsh and forest. You can get a real lay of the land atop the Hunting Island Lighthouse, which stands some 130 feet above the park and serves as the only publicly accessible lighthouse in South Carolina. If you want to rough it, you can stay at the Hunting Island campsite. Admission to Hunting Island State Park is $5 for adults, $3.25 for South Carolina senior residents, and $3 for children over age 5. You can view the lighthouse for $2. See why the beach at Hunting Island State Park is one of the best. Situated on a peninsula in Maine between the Atlantic Ocean and Ogunquit River, Ogunquit Beach is noted for its beautiful, natural surroundings and 3½ miles of white, sandy beachfront and dunes. Plenty of parking, restroom facilities, chair & umbrella rentals, showers, and picnic facilities are among the many convenient amenities this popular New England beach offers visitors. There’s also a boat ramp available if you’d like to navigate the pristine waters. 30-minute free parking is available at the southern side of the beach. There’s also plenty of convenient paid parking along Ogunquit Beach on both the south and north sides of the peninsula. See why Ogunquit Beach is one of the best beaches in southern Maine. Choose a water-resistant sunscreen rated SPF 30 or higher for optimal beach protection. Don’t forget, there’s a wrong way and a right way to apply sunscreen. Be sure to check the UV index rating on the day you’re planning to visit the beach. Fort De Soto Park, just south of St. Petersburg on the west central coast of Florida, is a slice of nature amid the hustle and bustle of the Tampa Bay area tourism region. 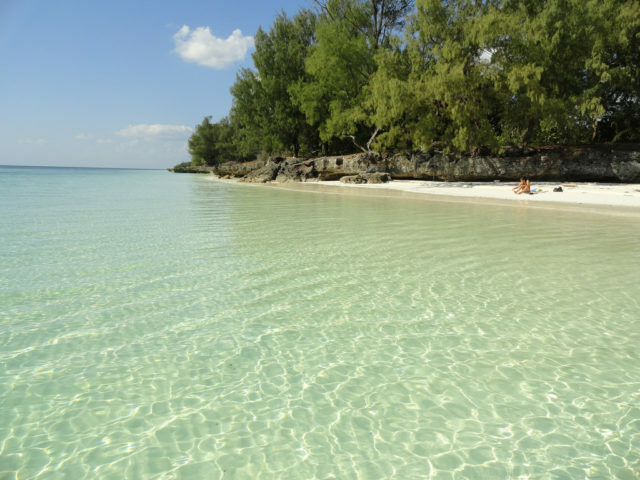 Five islands, or keys, form the basis of Fort Desoto Park, with 3 miles of beaches and trails. An abandoned Spanish-American War-era fort still stands, allowing curious explorers to enjoy a little history while soaking up the sun on the Gulf of Mexico. 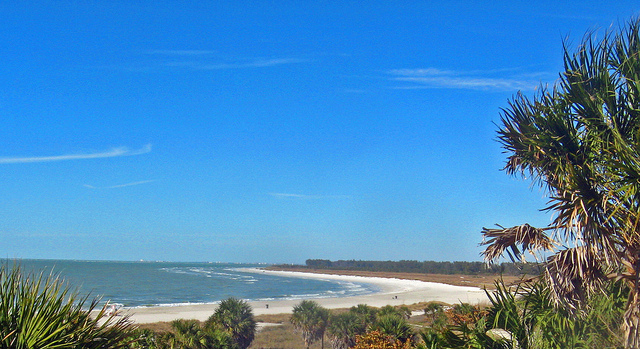 Nearby is the Egmont Key Lighthouse, beckoning visitors with its bright beacon. Bike rentals, campsites, and picnic facilities are also among the many amenities. Entrance to Fort De Soto Park — which has been named the Best Beach in the United States, the Best Family Beach, and a Top Beach in America — is $5. See why Fort De Soto Park ranks #1 on a list of fun things to do in Fort De Soto, Florida. The quaint, seaside setting of Rehoboth Beach in Delaware is within a 3-hour drive of places like Philadelphia, Washington, D.C., and Baltimore. Though tourism season usually means crowds, it’s not as busy as nearby Ocean City, Maryland or the New Jersey beaches. Rehoboth Beach is 1 square mile in size — perfect for families, seniors, and everyone in between. It even has a classic 1-mile long boardwalk that’s great for seaside strolls. Metered city parking costs $2 per hour. See why Rehoboth Beach is one of the top places to visit in Delaware. The setting for Coronado Beach is the grand promenade of Ocean Boulevard, where parking is free and million-dollar mansions peek over the roadside. Who knows, you might even get to see dolphins up close! 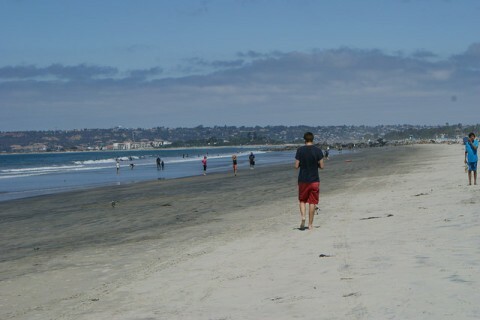 See why Coronado Beach is one of the top things to do in Coronado, California and it’s been named the nation’s best beach. On the very edge of Cape Cod in Massachusetts is Race Point Beach in Provincetown, with miles of unspoiled coastline. Located near several historic buildings that help trace early American settlement, Race Point Beach is a popular holiday destination and beautiful place to see the sunrise and sunset. You might even see some whales on their way to Stellwagen Bank, a whale breeding ground. Best of all, nature buffs will love how untouched the beach is. While there’s plenty of low-scale development to the south and east in the heart of Provincetown, Race Point Beach seems far removed from the tourist hubbub. Be sure to visit nearby Race Point Lighthouse, an historic lighthouse that has stood on the cape since 1816. Plenty of free parking and restrooms line Race Point Beach. See why Race Point Beach ranks #1 on a list of 60 things to do in Provincetown. Waianapana Beach is rather unique from the other beaches on this list, as it has black sand. Those who know a little geology will understand why — the Hawaiian islands are volcanoes, and the black sand of Waianapana Beach was made from basalt, a type of volcanic lava rock. While black sand may not be what you ordinarily think of when dreams of a beach vacation run through your head, it’s an absolutely cool experience to walk along a black sand beach — something you can really only do when you’re on a volcano! Inside this 120-acre state park, there are a few freshwater pools to swim in. Interestingly, the caves are filled with freshwater that floats above salt water. The blowhole is another unique feature at this beach. Waianapana Beach is one of the many sites along the road to Hana that shouldn’t be missed. Here’s a great review of Waianapana State Park that illustrates why Waianapana State Park ranks #1 on a list of fun things to do in Hana. Those are my top picks for the best beaches in the U.S. If you’re a road tripper like I am, be sure to travel the coastal highways and be prepared to “stop and smell the roses” and enjoy the adjacent beaches. There are many hidden treasures out there when it comes to the picturesque little public beaches that are tucked away behind the sand dunes — or motels. While some of those beaches may not necessarily make the tourist brochures, they can still offer the perfect combination of sand and surf. More Great Beaches In The U.S.